Camp Solomon Schechter, located in the Pacific Northwest, is committed to helping their campers engage with the natural world. In 2013, they launched the Teva Learning Center (TLC) to provide a solid, sustainable, organic agricultural curriculum in a Jewish setting beyond the teva (nature) and tikkun olam (repairing the world) activities typically provided at camp. In its inaugural year, the project reached approximately 575 campers and 80 summer staff members. 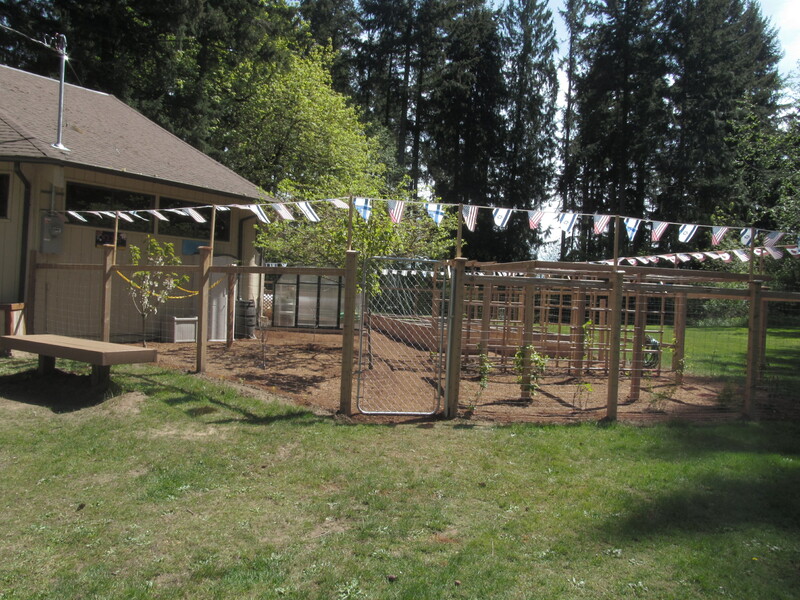 The initial set up of the TLC consisted of building a 2,000+ square foot garden area, designed to have at least 24 raised beds, an area for fruit trees and berry bushes, a small green house, a tool shed, a drip irrigation system, a rain barrel to collect water, and a compost bin. It also includes the traditional Seven Species of Israel mentioned in the Torah as well as plant species and agricultural innovations developed in Israel (like cherry tomatoes). 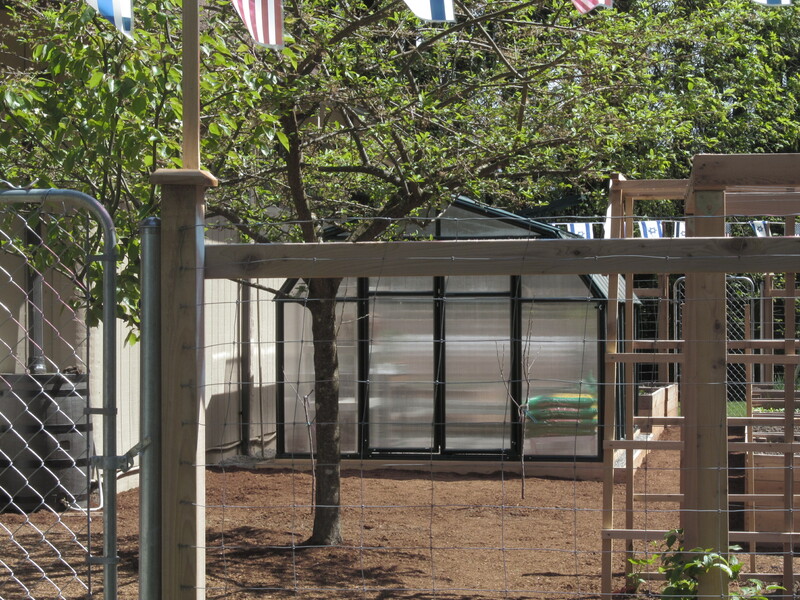 An 8-foot fence surrounds the garden to keep deer out of the produce. They designed the garden with the assistance of a Schechter alumnus who is a plant biologist and Master Gardener as well as a professional designer of organic, sustainable farms. Due to thoughtful planning, the TLC has been very successful. The TLC’s location was an important decision. They strategically placed the garden next to the heart of camp so campers would see it every day and it would be on their mind, without getting in the way of other camp activities. Planning was also a key factor to their success. Once the site was chosen, the Assistant Director worked with the Facilities Manager and gardening consultant to plan the site. Purchasing and using a garden design program helped to create the site plan and anticipate potential problems prior to actually building. 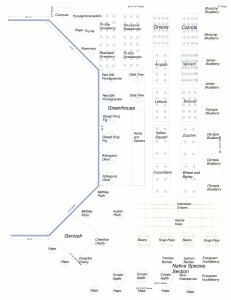 The Assistant Director sought additional advice from local nurseries to ensure effective use of space and to determine which plants would grow well at the camp. This advice led to the purchase of spliced apple trees that produce several types of apples from one tree and the decision to plant kiwi. The responsibility of caretaking the garden was assigned to one of the maintenance staff, who was trained by the Master Gardener and the Environmental Educator. The caretaker prepared the garden in the spring, checked in on the garden regularly throughout the summer, and prepared it for winter in the fall. 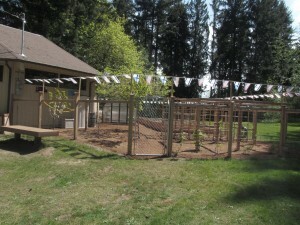 They also hired a camp staff member (the Environmental Educator/Rosh Gan) who had expertise in environmental education, Master Gardening, and organic/sustainable agriculture. He was responsible for developing the curriculum for these chuggim, integrating the garden into every area of camp, and he was available for cabin activities and worked with the caretaker to make sure the TLC was well managed throughout the summer. In addition, the Environmental Educator worked with the Head Chef to provide fresh produce to the kitchen for meals and to let the camp community know what food on the menu was grown in the garden. Over the summer, they realized that the fruits and vegetables produced in the garden were not sufficient to fulfill the needs of the kitchen, so the Environmental Educator proposed to “sell” fresh fruits and cooked vegetables in the cantina, as an alternative to the ice cream and candy normally “sold.” These items became very popular, especially the fresh, stir-fried vegetables cooked by the Environmental Educator, who also happened to be an excellent cook. Note: the words, sell and sold, are quoted because campers can earn Schechter Shekels for things such as keeping their cabin clean, recruiting new campers, and the like. They then use the Shekels at the cantina to purchase small things like candy and ice cream. • Budget wisely. There may be unexpected changes in pricing of materials, such as wood. Make sure that your budget allows for some unanticipated costs. • Seek out experts and listen to their suggestions. 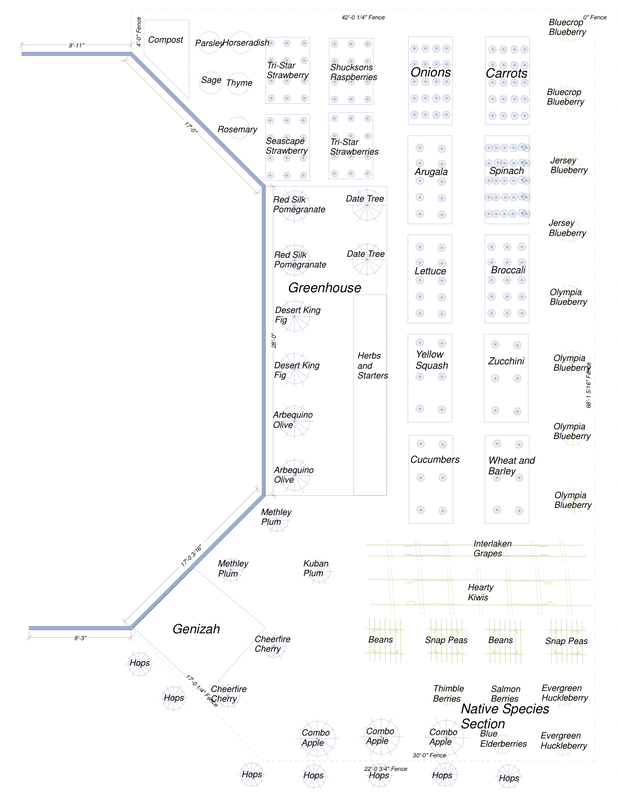 Camp Solomon Schechter hired gardening consultants to ensure that the garden design and proposed plants would best meet the needs of camp and would be suitable for the local environment. • Bolster your budget by combining funding sources. Camp Solomon Schechter was able to combine four funding sources to grow their project dollars. • Find a great environmental educator and be willing to pay for a well-qualified and passionate person to kick off the program. If the right person is found, she/he will not only be able to educate campers about gardening, but will also be able to integrate the subject into the larger curriculum of the camp. • Realize that you will likely not be able to grow all the food you need. 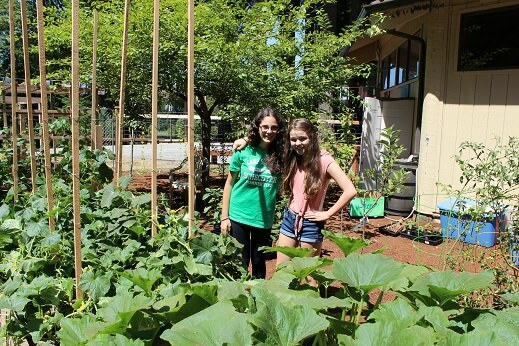 Even though Camp Solomon Schechter’s garden is large, they weren’t able to grow enough food to give all the campers generous portions of food from the garden, especially fruit. Therefore, it served more as an educational resource than a food production resource. They plan to expand their garden by planting a fruit orchard. But, as noted above, summer staff found ways to make the food meaningful as part of the summer programming. • Think about the kind of food you’re growing and what your needs are, making sure to choose crops that not only fulfill lesson plan goals but are also suited to the growing environment. For example, Camp Solomon Schechter is going to make some minor adjustments to the crops that they plant, such as replacing lower-yield and/or slower-growing plants (e.g., artichokes, onions and beets) with higher-yield and faster-growing crops (e.g., carrots and squash).